Preschoolers are very interested in the weather. 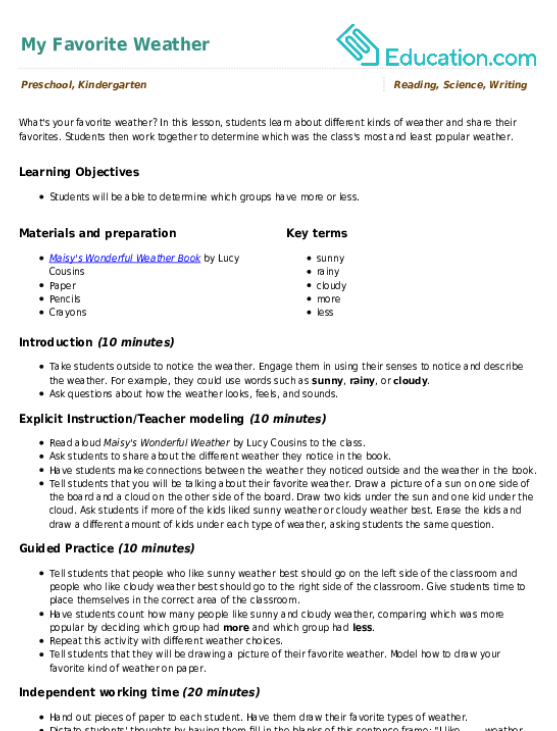 Make this a part of your daily routine and you may soon have a meteorologist on your hands! This activity turns your kid into the family weatherman. 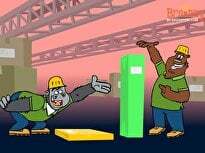 Plus, it teaches her to collect data and begin to understand graphing. 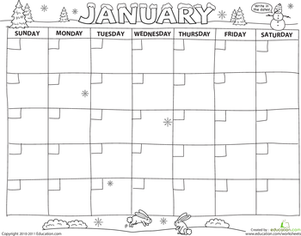 Before your child can get started collecting weather data, you'll need a blank calendar. Don't worry, you don't need anything fancy. 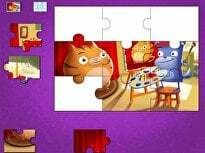 You can use the template at the bottom of this activity as is (although you'll probably want to enlarge the boxes, by blowing it up at a copy store), or just use it as a guide and create your own from scratch. 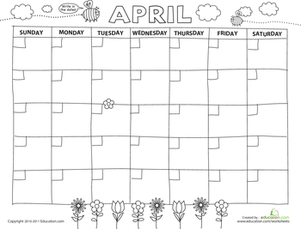 Whatever you use as a base, write the name of the month at the top and then help your child fill in the boxes with the numbers for each day of the month. 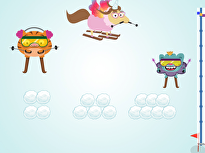 Make sure that each box has enough room for a picture, since that's how your child will record the weather each day. 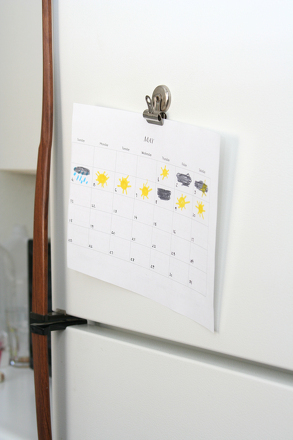 Place the calendar where your child can easily see it. The refrigerator is usually a good choice. 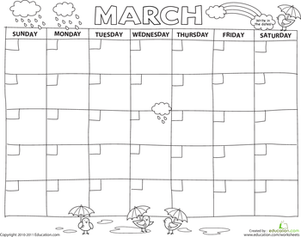 Choose a time each day to talk about the weather with your child. Then each day at the agreed upon hour, announce that it's weather time! Send your child to the window for a bird's eye view and ask her to decide what type of weather you are having: sunny, cloudy, partly cloudy, rainy, or snowy. 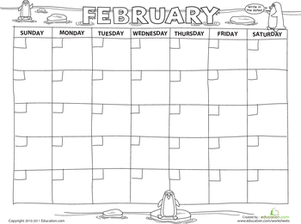 Once she's made her announcement, it's time for her to record it, by drawing a picture of the weather on the calendar. It's best to keep it simple: for example, a sun for sunny, a cloud for cloudy, asterisks for snow, a cloud with the sun peeking out for partly cloudy, and a cloud with little drops for rainy. 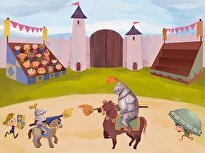 Whatever symbols your child chooses, she should keep them as consistent as possible, to make it easier to eventually tally up the results. How many sunny days were there in the month of ___________? Were there more sunny days or snowy days? What type of weather did we have the most this month? 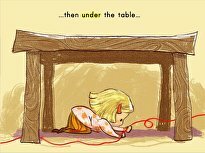 As your child gets used to the process, she'll likely begin to see some trends. 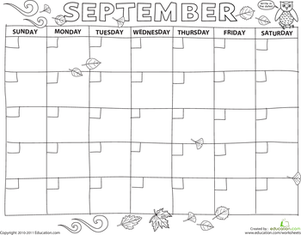 Keep the weather calendars and graphs for each month, even as you move on to the month ahead. Eventually your child will begin to compare two months and make predictions about upcoming months. Congratulations—a future scientist is born! 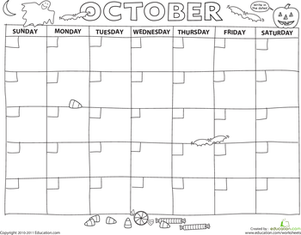 Help your preschooler grasp the idea of passing time with this cute calendar page. 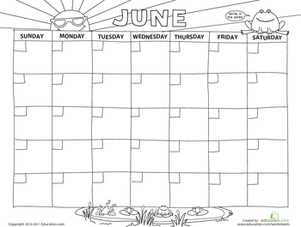 Part counting practise, part coloring fun, it's more than just a calendar. 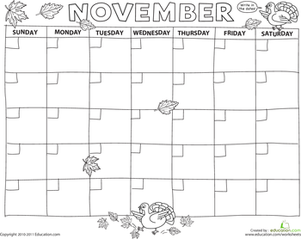 Here's a fun calendar printable that challenges kids to fill in all the dates of the month themselves, then lets them colour in the pictures. 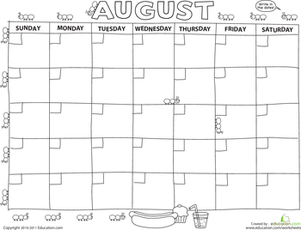 With pictures to colour and dates to fill in, this fun calendar is full of things to do and learn and is sure to keep your preschooler interested. 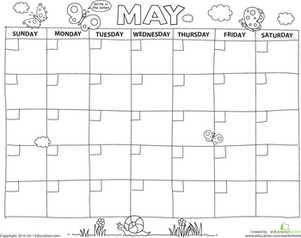 This cute calendar coloring page is just the thing to help your kids practise counting while learning the days of the week and months of the year. 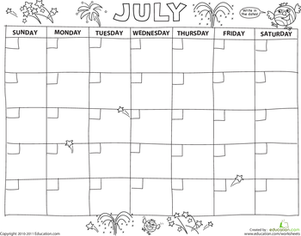 With cute pictures she can colour, this calendar printable is sure to keep your kid entertained as she fills in all the dates and practices counting from 1-31.